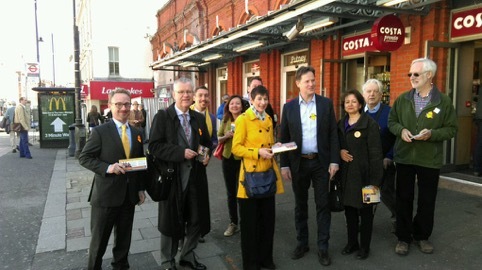 Caroline was joined by the former Deputy Prime Minister Nick Clegg in Putney to campaign for the London Assembly and Mayoral Elections. They were joined by a strong Lib Dem team including Lord Newby, Baroness Sheehan and Lib Dem London Assembly candidates Merlene Emerson and Adrian Hyyrylainen-Trett. 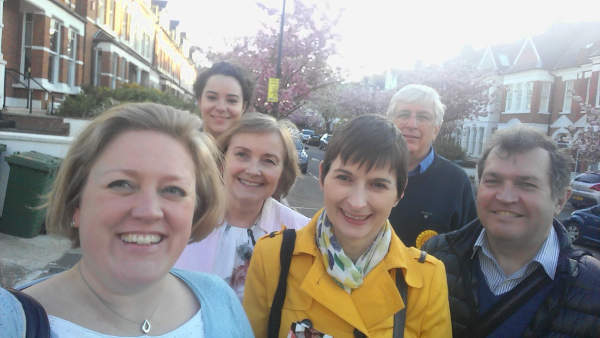 Caroline went out campaigning in Ealing with the local Lib Dem team, including Councillor Jon Ball, Lib Dem London Assembly candidate Adrian Hyyrylainen-Trett and Lib Dem campaigner Chris Maines. They spoke to many local residents about the London Assembly and Mayoral elections. Caroline’s plans to make childcare more flexible and accessible and to have half price fares before half past seven were popular on the door step. 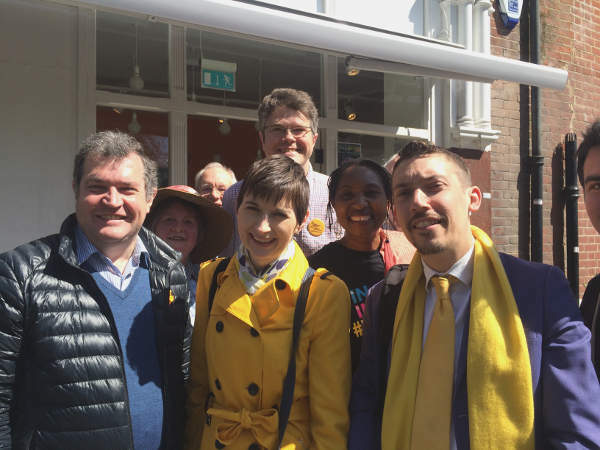 Caroline went out campaigning in Camden with the Lib Dem London Assembly candidate for the Barnet and Croydon constituency Zack Polanski. They visited the Swiss Cottage and Finchley Road areas to speak to local residents about the Mayoral and London Assembly elections. They received a warm reception on the doorstep. 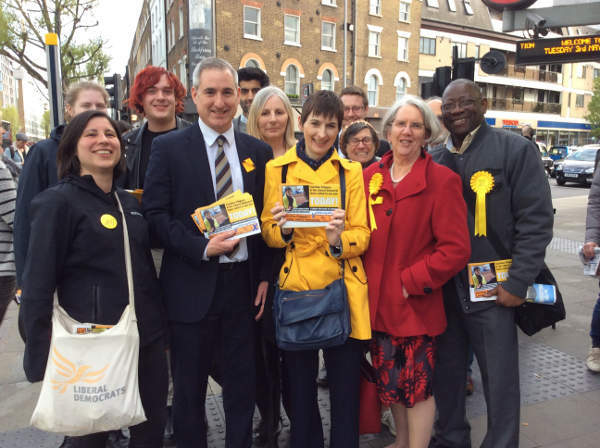 Caroline joined the Haringey Lib Dems out on the door steps on eve of poll. They were joined by Lib Dem London Assembly candidate Dawn Barnes and Baroness (Claire) Tyler of Enfield. They had a great response from local residents who were very keen to talk about the Mayoral and London Assembly elections, and there was a lot of support for Caroline’s Half Price Fares before Half Past Seven campaign. Caroline was out in Bermondsey with local Lib Dem Councillors Damian O’Brien, Eliza Mann and Anood Al-Samerai. 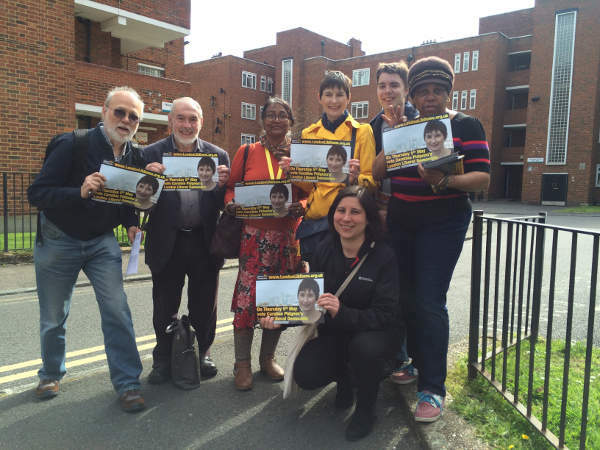 They went knocking on doors to speak to local residents about the Mayoral and London Assembly elections. They received a wonderful response on the doors, with many lovely comments about the hard work the Lib Dems do in the local area. Caroline went out campaigning in the Cathedrals Ward of Southwark with Greg Mulholland MP, Baroness (Judith) Jolly and local councillors Adele Morris, David Noakes and Anood Al-Samerai. 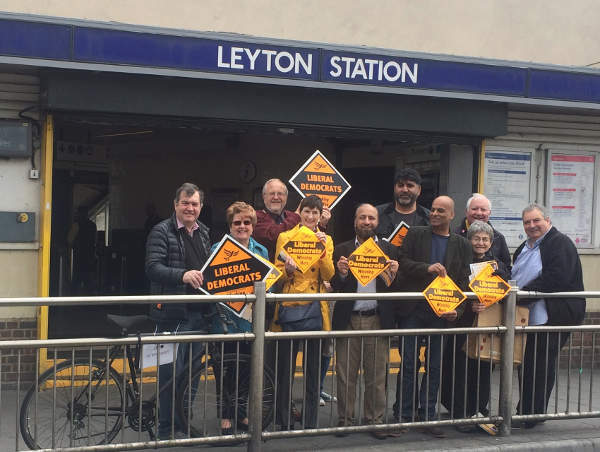 They talked to many local residents about a wide range of Lib Dem policies addressing the big issues facing Londoners such as transport, childcare and housing. Caroline joined local Lib Dem Redbridge Councillors Ian Bond and Hugh Cleaver, the Lib Dem by-election candidate Richard Clare and their campaign team out in Redbridge. 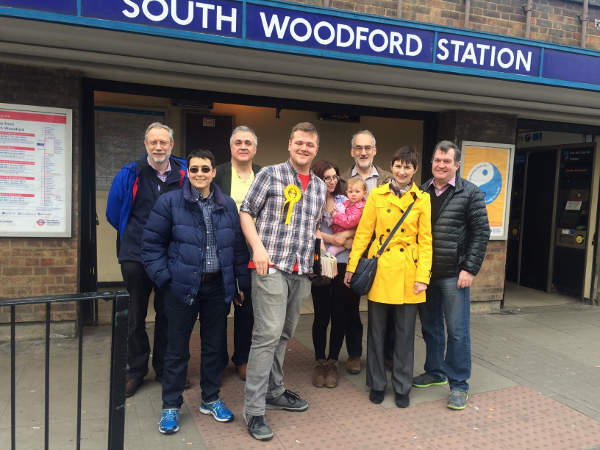 Caroline joined local Lib Dem campaigner and local resident Bob Sullivan and the Lib Dem team to campaign in Waltham Forrest. 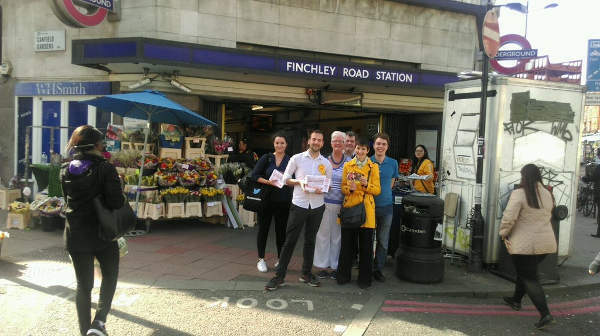 They went out to speak to local residents about the upcoming London Assembly and Mayoral elections, and Caroline’s Half Price Fares Before Half Past Seven policy which was popular on the doorstep. 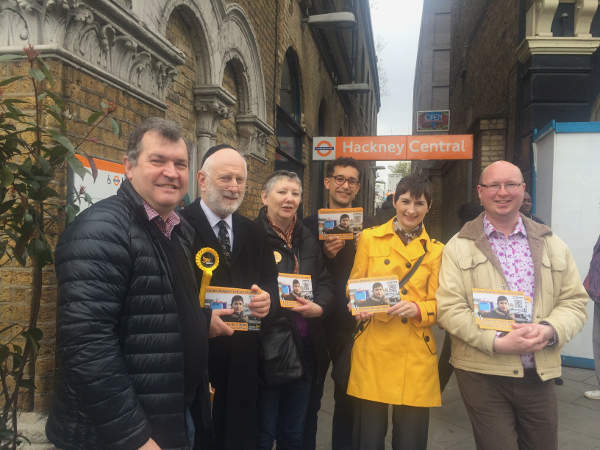 Caroline went out campaigning in Hackney with local Councillor Ian Shearer and Lib Dem London Assembly candidate and local Hackney resident Ben Mathis. They went out to speak to local residents about Caroline’s Half Price Fares Before Half Past Seven policy which was extremely popular. 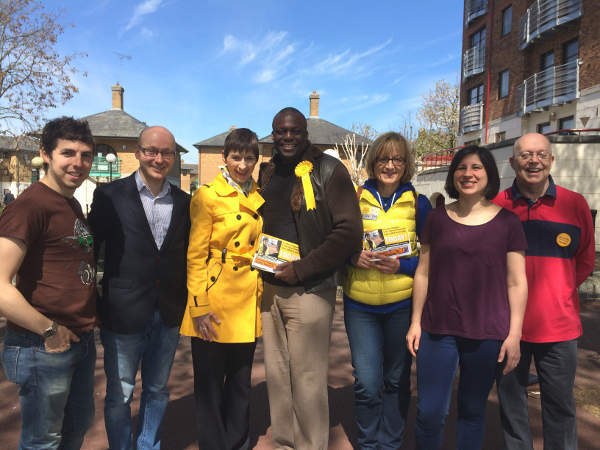 Caroline went out in Surrey Docks Ward in Southwark with local Lib Dem London Assembly candidate for Lambeth and Southwark Michael Bukola. They were joined by lots of local Lib Dem campaigners including Southwark councillors Anood Al-Samerai and David Hubber.